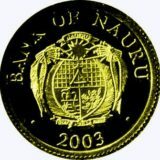 Bi-colored (composite) coin has the round form consisted of the concentric situated ring and disk. 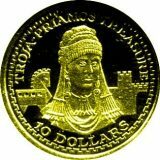 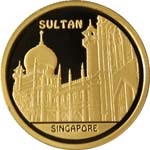 The internal disk of coin is made of tantalum, external ring is made of silver. 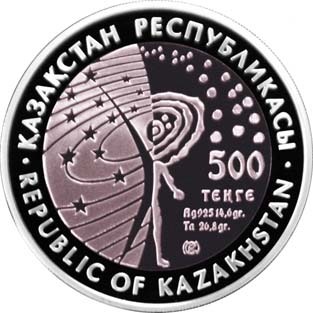 Averse: the composition symbolized the unity of human being with the world and the connection between the past and present; the face value of the coin “500 TENGE”; trade mark of Kazakhstan Mint; the inscription of “Ag 925 14.6 gr. 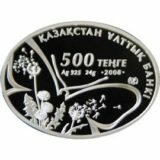 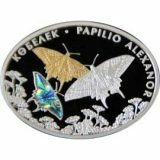 Та 26.8 gr.” defining the metal which the coin is made of, its fineness and weight; two inscriptions “REPUBLIC OF KAZAKHSTAN” in Kazakh and English. 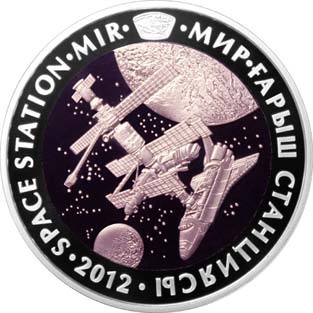 Reverse: the Image of the space station “Mir”; “Mir” station emblem at upper sector; the name of the coin is indicated in Kazakh and in English “SPACE STATION “MIR”, year of coinage “2012”..